Jazz Musician Joey Alexander turns 15 in June of 2018. A native of Bali, his 2015 debut album, My Favorite Things, garnered two Grammy Award nominations for “Best Jazz Instrumental Album” and “Best Improvised Solo” for his performance of John Coltrane’s “Giant Steps” when he was only twelve years old. He is the youngest jazz artist ever nominated for a Grammy. And, his performance on the 58th Annual Grammy Awards broadcast in 2016 received a standing ovation. At nine, Joey won the Grand Prize at the first Master-Jam Fest, an all-ages competition in Ukraine, which included 200 competitors from 17 countries, and at ten, he performed at jazz festivals in Jakarta and Copenhagen. Wynton Marsalis invited him to his U.S. debut appearance at Jazz at Lincoln Center’s Rose Hall in 2014 that was followed by appearances before the Jazz Foundation of America at the Apollo and the Arthur Ashe Learning Center at Gotham Hall. He has performed at the Newport Jazz Festival and around the world, from Tel Aviv to Abu Dhabi, from Singapore to Vienna and in his native Indonesia. His fourth album, Eclipse, was released this May of 2018. Stay Thirsty Magazine was happy to visit with Joey Alexander (a man of few words) for these Five Questions while he was preparing for his summer tour. One stop will be the Freihofer’s Saratoga Jazz Festival in June at the Saratoga Performing Arts Center. But, to truly understand the extraordinary talents of this young man, we present two videos from his latest album. STAY THIRSTY: When did you first start playing jazz? JOEY ALEXANDER: I was seven years old. STAY THIRSTY: Did you learn jazz from someone or did you pick it up from listening to recordings by great jazz musicians? 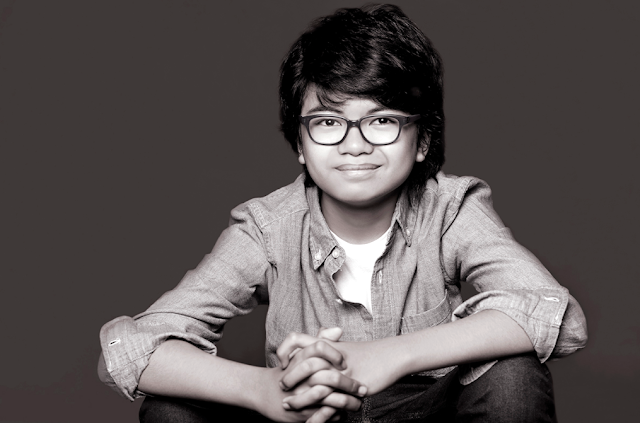 JOEY ALEXANDER: I learnt from listening to musicians and playing with musicians. STAY THIRSTY: Do you think about the music you are going to play or does it just come to you? sing more of what I'm going to play, at the same time, reacting to the sound around me. STAY THIRSTY: Do you hear music everywhere in the sounds of everyday life? JOEY ALEXANDER: Music is sound and so it's everywhere, but I don't imagine music all the time. STAY THIRSTY: How do you feel when people are happy hearing your music?